Ceramic tiles are the topic of many a home interior project these days, their resistance impeccable and their design varieties endless. 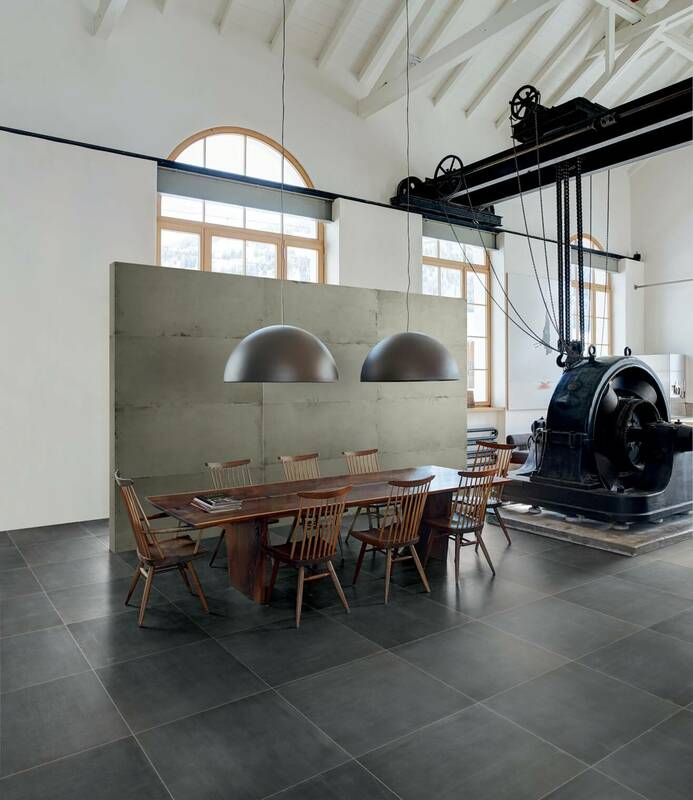 Two of the newest tile collections by Italian designer and manufacturer, Ceramiche Refin, are tantalizing the tastes of design junkies everywhere: District and Poesia. The District collection’s rugged industrial effect gathers its influence from different settings throughout several European cities like vintage stores and old-fashioned service stations, with three variations called Garage, Road and Track. Road is the ultimate reflection of the city brought to the home, with a tile design that reflects that of asphalt, drawing influence from city streets, sidewalks and corners. Track carries on the underground vibe with a ‘wood effect’ design inspired by old cycling track arenas. For people looking for a more resistant option to hardwood floors, wood-effect tiles like Track do just the trick. Then there is Garage that captures the vintage motif of old-style service stations with metallic-style vintage materials and a worn-looking marble effect for that urban air. Getting away from the raw city appeal of the District Collection, Refin’s Poesia line (which means poetry in Italian), is fitting for its name, with a classically elegant variation of lines. Coming in four warm, balanced hues, the Poesia collection features a unique and “local” touch of Italian craftsmanship with its use of Leccese Stone. Leccese stone comes from the Southern Italian region of Puglia and is the base for the Poesia tiles. The stone dates back millions of years and can be found in open-cast quarries, providing different colors based on how far down the stone is taken from. This accounts for the range of naturally rich colors in the tiles as well as a refined texture thanks to the stone itself. In addition to four different shades, Poesia also features detailed borders that are a mix of geometric forms and brick wall patterns. Ceramic tiles have revolutionized interior design, and with digital innovations in the past 15 years, the design options and creativity for tile design have exploded. Highly developed digital graphics systems have opened the door to endless possibilities. With these techniques, tile designers, like Ceramiche Refin, can produce designs that strongly resemble natural materials like wood and marble, allowing for 3 dimensional qualities as well. It also allows them to never repeat patterns. For homeowners, whether you’re looking for functional flooring or striking aesthetics, ceramic tiles give you both in one product. 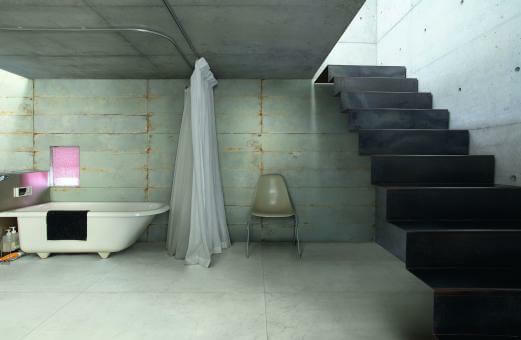 With a composition known as Grès Porcelain like Refin uses, the ceramic tile is vitrified and thus extremely resistant. They are also scratch and stain resistant, and weather resistant for exterior design plans, being all around easy to clean. They are in fact what we see sprawling the floors of many stores and restaurants, places that see a lot of foot traffic on a daily basis. So whether they’re accommodating a home for an active family of five or making a statement in a trendy loft, ceramic tiles like District and Poesia bring the kind of practical style we love. Significant Choices to Make For Improving Value of Your Home! !